Mortgage borrowers are getting older as it takes longer to save for a deposit for a property. New research shows that the average buyer is now four years older than the age of borrowers in the late 2000s. First-time buyers are now 34 years on average when they get the keys to their own home. This is up from around 31 back in 2003, according to the Central Bank. 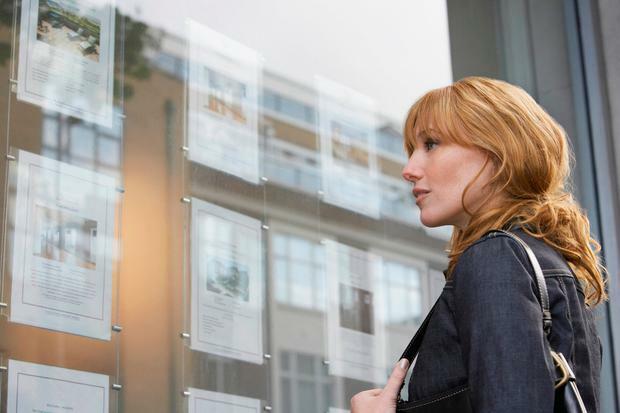 Second-time buyers are now 41 on average, up from 38 a couple of years ago. The fact people are taking out their first mortgage later in life means some people are going to end up still paying off the loan in retirement. The ageing of borrowers reflects the population getting older, and the fact that many potential buyers are forced to rent longer than they want to because of the difficulty in getting the funds in place to put down a deposit on a property. Central Bank rules mean first-time buyers must have a down payment of at least 10pc, with 20pc required by other borrowers. People here are also taking out longer-term mortgages than in other European countries, according to the Central Bank report 'Household Credit Market Report 2018'. A new buyer typically takes out a 29-year mortgage in this country. Those who are trading up have an average term of 24 years. In contrast, a typical mortgage in France is paid back over 18 years. Germans buy their homes over an average period of 25 years. The upshot is there has been an increase in this country in the number of first-time buyers who will still be paying off their mortgages when they are between the ages of 65 and 70 since 2003. But there has been a fall in the numbers who will still be in mortgage debt in their 70s. Almost half of first-time buyers had loan terms of between 30 to 34 years. Half of second-time buyers had a loan term of under 25 years. Typical first-time buyers have a deposit that represents 30pc of the value of the property. They were borrowing an average of €274,000 in Dublin, for a property that is priced at €367,000, in the first half of this year. This is compared with €185,987 for new buyers outside Dublin. The average Dublin income for a new buyer was €85,334, and €66,728 for buyers outside Dublin. First-time buyers are generally borrowing 3.1 times their income.